I couldn’t help but smile at this reference to Baptist churches in Rick Riordan’s book The Widower’s Two Step. Now, now, Mr. Riordan – we’re really not all that scary, are we? Danny Akin, President of Southeastern Baptist Theological Seminary, has recommended the following books on Baptist History. What would you add to his list? Baker, R.A. A Baptist Source Book. Nashville: Broadman, 1966. Brackney, William H., ed. Baptist Life and Thought 1600-1980: A Source Book. Valley Forge: Judson, 1983. Bush, L. Russ, and Tom Nettles, eds. Baptists and the Bible. Nashville: Broadman & Holman, 1999. Caner, Emir and Ergun Caner. The Sacred Trust: Sketches of the Southern Baptist Convention Presidents. Nashville: Broadman & Holman, 2003. _______. The Sacred Desk: Presidential Sermons to the Southern Baptist Convention, 1845-2003. Nashville: Broadman & Holman, 2004. Cathcart, William. The Baptist Encyclopedia. Reprint. Paris, AK: The Baptist Standard, 1988. Dockery, David. Southern Baptists and American Evangelicals: The Conversation Continues. Nashville: Broadman, 1993. Fletcher, Jesse C. The Southern Baptist Convention: A Sesquicentennial History. Nashville: Broadman, 1994. George, Timothy and David Dockery, eds. Theologians of the Baptist Tradition. rev. ed. Nashville: Broadman, 2001. Hankins, Barry. Uneasy In Babylon. Waco, TX: Baylor University Press, 2002. Harper, Keith. Send the Light: Lottie Moon’s Letters and Other Writings. Macon: Mercer, 2002. _______. Rescue the Perishing: Selected Correspondence of Annie W. Armstrong. Macon: Mercer, 2004. Leonard, Bill. Dictionary of Baptists in America. Downers Grove: IVP, 1994. Lumpkin, W.L. Baptist Confessions of Faith. Philadelphia: Judson, 1959. McBeth Leon. A Sourcebook for Baptist Heritage. Nashville: Broadman, 1990. _______ . 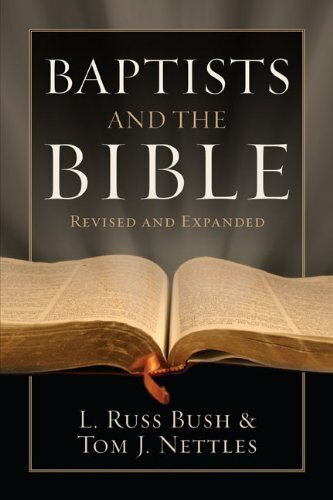 The Baptist Heritage: Four Centuries of Baptist Witness. Nashville: Broadman, 1987. Nettles, Tom. By His Grace and for His Glory. Grand Rapids: Baker, 1986. ________ . Teaching Truth and Training Hearts. Amityville, NY: Calvary Press, 1998. Sutton, Jerry. The Baptist Reformation. Nashville: Broadman, 2000. Humanism without God is like an engine without power, a sun without light, music without notes, and mathematics without numbers. The unbelieving world may not read the fine print of our systematic theology, but they read the bold type of our Christian living. It is wisdom to know what to do; it is skill to know how to do it. But virtue is to do it. Do it! The 2008 annual meeting of the Southern Baptist Convention will be held June 10-11 in Indianapolis, In. And, once again I will regretfully not be able to attend. The Southern Baptist Convention is made up of more than 16 million members in more that 40,000 churches. Johnny Hunt – Pastor of First Baptist Church in Woodstock, GA.
Wiley Drake – Pastor of First Southern Baptist Church in Buena Park, CA. Frank Cox – Pastor of North Metro Baptist Church in Lawrenceville, GA.
William L. (Bill) Wagner – Former Southern Baptist missionary and seminary professor and currently President of Olivet University International in San Francisco, CA. May God be glorified in the process as he brings to service that man for which he has prepared this great responsibility. The magnificent seven, plus three. 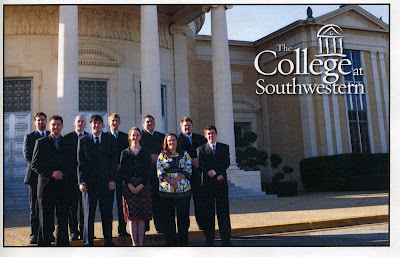 The first ten graduates from the College at Southwestern should be very proud. They were there at the beginning of something truly great. The College at Southwestern was established in 2005 and “is rooted in the rich history of Southwestern Baptist Theological Seminary. During the meeting of the Southern Baptist Convention in 2006 a discussion regarding the differences between and merits of Calvinistic vs. non-Calvinistic theology was held between Dr. Paige Patterson, President of Southwestern Baptist Theological Seminary and Dr. Albert Mohler, President of Southern Baptist Theological Seminar. The following are some of the titles that Dr. Patterson recommends for exploring and understanding non-Calvinistic theology. 3. Dave Hunt – What Love Is This? Recently on Wes Kenny’s blog, Bart Barber made the following author recommendations. At a recent alumni luncheon of Southwestern Baptist Theological Seminary, L. Russ Bush III was honored with the Distinguished Alumni Award. Bush presently serves as distinguished professor of philosophy of religion, director of the Center for Faith and Culture, and academic vice president and dean of the faculty emeritus at Southeastern Baptist Theological Seminary in Wake Forest, N.C. Seminary President Paige Patterson described Bush as a man known for his intellect and gentleness and cited Bush’s book “Baptists and the Bible” as “one of the 10 most important publications” of the 20th century.